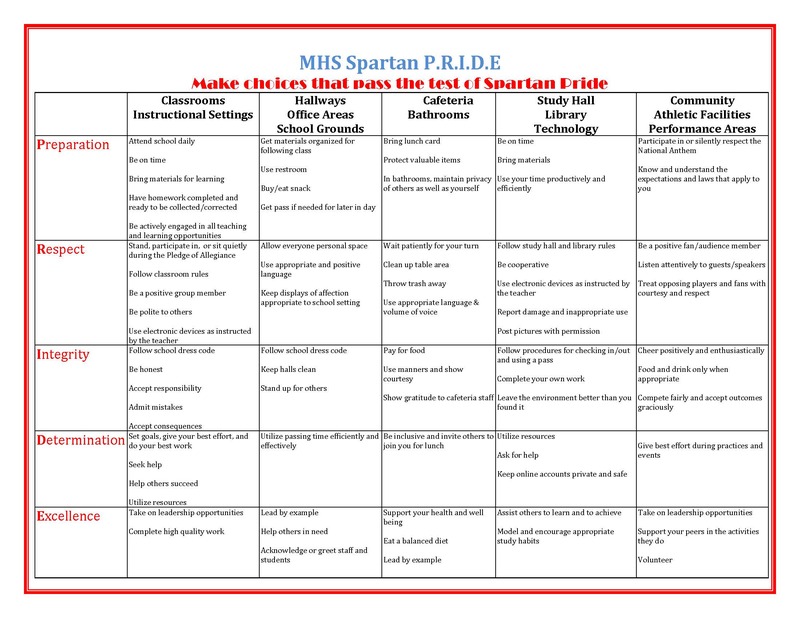 McFarland High School, along with all of the schools in McFarland, use the research based program PBIS (Positive Behavior Intervention and Support). This program is endorsed by the Department of Public Instruction to promote and maximize academic achievement and behavioral competencies in children. As a part of the program, we have established developmentally appropriate school-wide behavioral expectations that will be taught, modeled, practiced, and reinforced throughout the school year. These expectations will be clear to students throughout our classrooms and non-classroom settings such as the cafeteria, outside, hallways, busses, and bathrooms. By detailing every expected behavior and teaching to students in a positive way, we will provide a common language for everyone in the building. We will recognize the positive behaviors of students who do what is expected of them as well as supporting students who need extra assistance to reach our school-wide expectations. The McFarland High School expectations matrix is below.